Peta Mitchell is Vice Chancellor’s Research Fellow in the Creative Industries Faculty at Queensland University of Technology. Her fellowship project is focused on geocultural research and the new spatial turn, and her research has broadly focused on the geohumanities, including media geography, literary geography, and neogeography. Mitchell is author of two major works on metaphor—Cartographic Strategies of Postmodernity (Routledge, 2008) and Contagious Metaphor (Continuum, 2012)—alongside numerous articles, chapters, and refereed conference papers that span media and cultural studies, literary studies, cultural geography, and human–computer interaction. 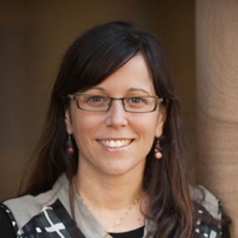 She is also co-founder of the Cultural Atlas of Australia, an ARC-funded digital mapping project that explores Australian locations as they are represented in and through films, novels, and plays.